Today my students in Sisters, OR begin their embroidered gardens. They will design their own work beginning with a sketch. 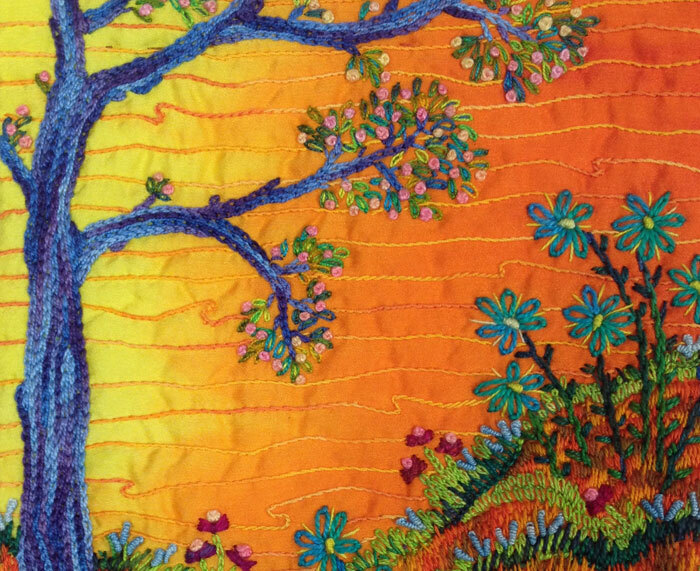 Then they’ll add free-form hand embroidery to hand dyed silk fabric fused to batting. Stitchers are so inventive. I can’t wait to see what they come up with! Want to join them? 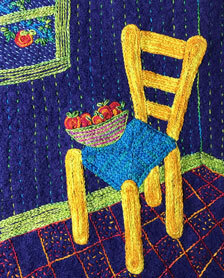 The Embroidered Garden Tutorial shows you the steps my students will take to prepare their silk fabrics for stitching. Plus you’ll find directions on how to make this blue tree in a woodland garden. Have fun!